RMX 500, DJ Effect from Pioneer. 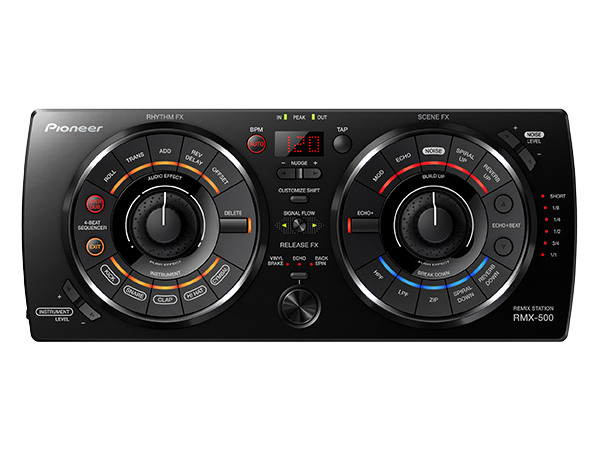 Pioneer will introduce tomorrow at NAMM 2014 the little brother in the Remix Station family, described as the most easy to use in the range. 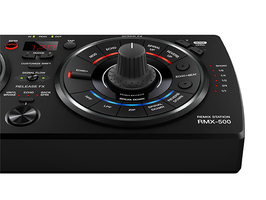 The Pioneer RMX 500 features three effect sections: Rhythm FX includes Roll, Trans, Add, Rev Delay and Offset effects and you will find in the center of the control section a large pressure sensitive knob (via push), as well as five Instrument buttons for kick, snare, clap, hi-hats and cymbal. Each instruments comprises six different patterns that can be added via a button. A 4-beat sequencer with overdub function is also included. The Scene FX section offers 5 Build Up effects (Mod, Echo, Noise, Spiral Up and Reverb Up for adding sounds) and 5 Break Down effects (high and low-pass filters, Zip, Spiral Down and Reverb Down for cutting sounds). The center knob is also pressure sensitive and two sub-parameter controls allow for further effect changes. Last, the Release FX will either cut the playback and leave the effects, or cut the effects and only play the music. Three effect types are available in this section: Vinyl Brake, Echo and Back Spin. 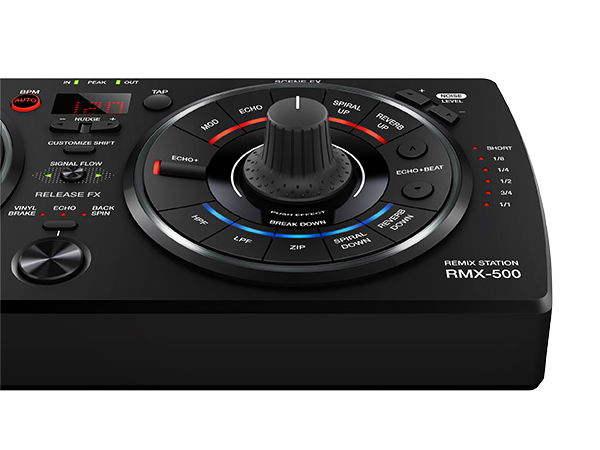 The RMX 500 also offers Quantize and Auto BPM features and it ships with a VST, AU and RTAS plug-in that will help you create the same effects in your DAW on Mac and PC or, when you connect the RMX 500 to your computer, it can be used as a MIDI controller. 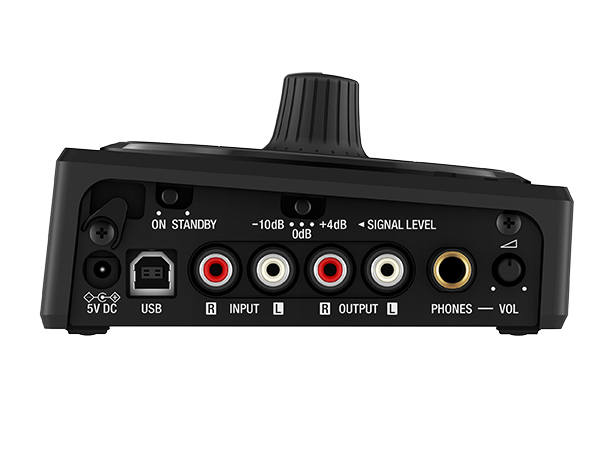 The US suggested price of the Pioneer RMX 500 is $399. You’ll find all the details about this new Remix Station at pioneerdjusa.com. 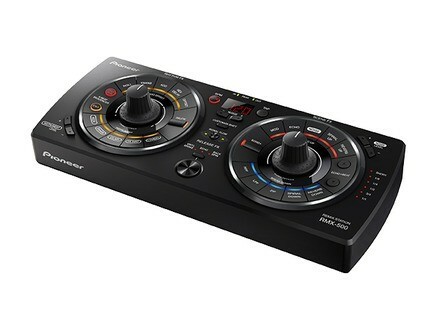 [NAMM] Pioneer DDJ-SZ MIDI Controller announced Professional DJs will discover tomorrow at the NAMM Show 2014 the new flasgship MIDI controller from Pioneer, namely the DDJ-SZ. [NAMM] New Allen & Heath Xone mixer announced Allen & Heath will introduce at Winter NAMM 2014 a new Xone 2+2 mixer for DJ, namely the Xone:23. Mixvibes launches the 3rd version of Cross Cross for Mac and PC has been updated to version 3, which focuses on video mixing and adds improvements to audio.